While I have always noted that our greatest gifts show up as our greatest weaknesses, I have only now recognized how I heard the lesson, but flunked the application. I grasped that if we think we achieved by our giftedness, we would claim the credit. I got that. But… The big lesson comes harder. I am a researcher. I grasp regulations and protocols (which is why I do all right now working as a security guard). The minutiae of legal process make sense (which I sense that you sense is nonsense, okay). When I stand with others in a struggle for justice I can argue using the dominator’s own rule book. I do my homework. Eyes wide open. 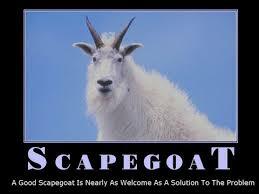 So when I am persecuted, slandered, betrayed, cast out as a scapegoat, I respond in the same way. Wrong! That is my call for you. Since that’s what Jesus does for us I just follow the example of Jesus. But I didn’t follow through on that to its inevitable conclusion, Jesus never defended himself by proving the falseness of the arguments against Him! Jesus died. When I was led out to the slaughter I forgot to die (to self). “I no longer live, but Christ lives in me. The life I now live I live by believing in God’s Son, who loved me and took the punishment for my sins” (Galatians 2:20 God’s Word©). Until this week I did not realize I forgot to crucify my reputation on that cross. Proclaiming Jesus crucified and risen amounts to a more important case to make than my human reputation. Ouch! Well, Paul preached forcefully against culture-based ministry. No, it wasn’t a question of removing me to get a First Nation’s person. The issue was I honoured the traditions (as my denomination said we were to do – irony), learned from the Elders, and was respected by the whole reserve, which any racist cannot stand. As I have taught around clergy abuse, no one abuses clergy who don’t serve Jesus with their whole heart, only the ones who are radically loyal to Jesus! Ok, I see about the racism. Just curious though–were they wanting someone to minister to them from their nation? And, was there even anyone qualified? Courage, yes, but God’s grace more. It is God’s work not ours, as Watchman Nee so eloquently teaches. As for racism, I was a Caucasian serving in a First Nation Conference, and the person who lodged the complaint used openly racist accusations, which were concealed from me except for someone who released the incriminating evidence against the wishes of the bureaucracy. That is why we started a human rights case, but racism cannot be legislated when the legislators are the perpetrators. Thus our decision to walk away with our dignity, even if all the rest was lost. I love that one. Galatians 2:20 Has been a favorite of mine for a long time…However, you quoting it here and in this context caused me to realize that I can say I am crucifying the flesh but really NOT in some area that I am totally blind to. It is so easy to quote and so hard to do the reflection asking for His insight into my wrong thinking or wrong action. That takes courage. Can I ask about “racism” from No. 1 blog? What was/is that issue? « Whose Case Is It?